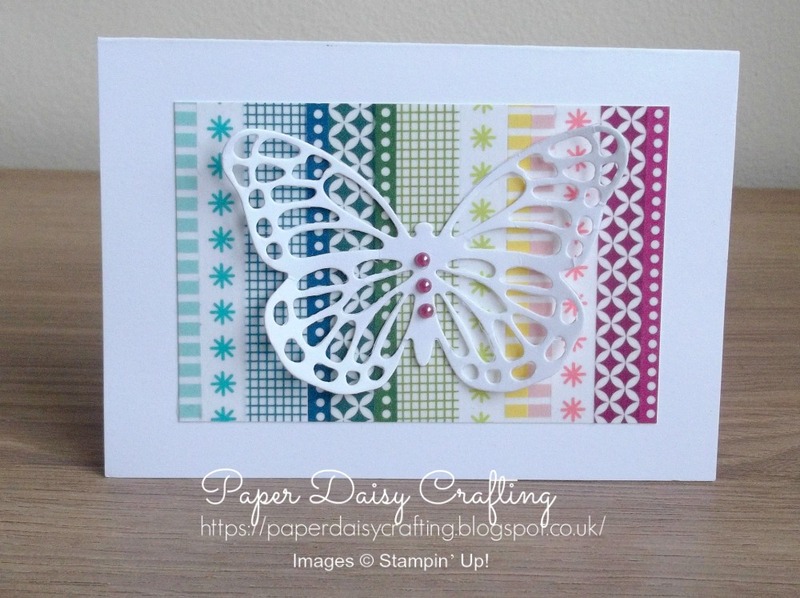 Back today to show you my last sample made during my session the other day playing with washi tape and butterflies. And I think this one is my favourite. 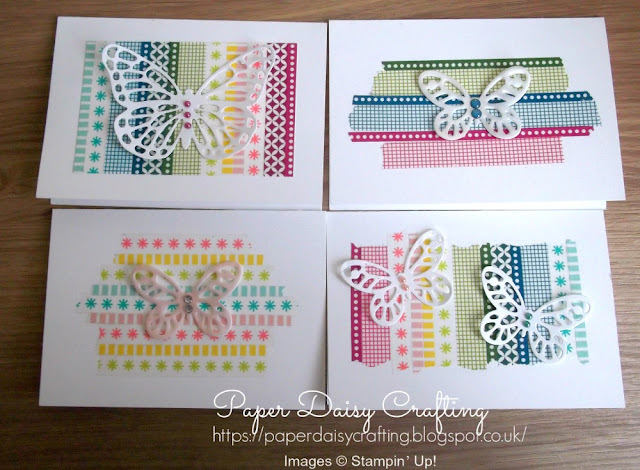 Lots of you will know if you have followed me for a while that I don't do messy crafting and all the torn edges of the washi tape on the three previous cards were a bit too messy for me. So for this last card I made a separate little panel of washi tape and trimmed it down so that we have straight edges. And I find it so much more soothing! 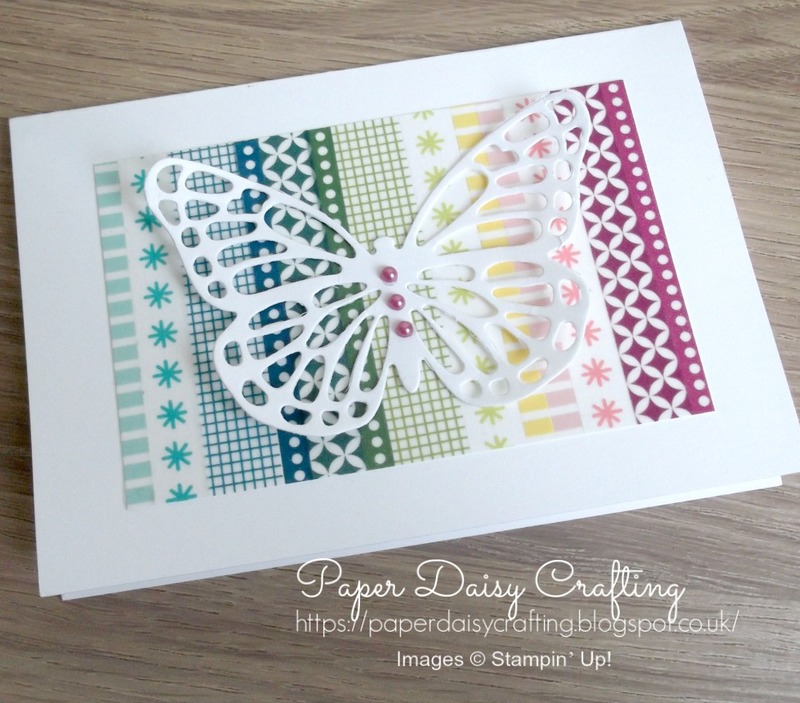 For this card I used a different set of dies - the Butterflies Thinlits dies - and used a larger butterfly. And again those coloured Artisan Pearls which is a sneak peek that will be available from June. Just to finish off, here are all 4 of my cards together. Back soon with a project using different products, I promise!